Animals Australia's investigations are blowing the lid off cruel industries. It's no wonder our Campaign Director has found herself in the media spotlight — and Animals Australia nominated for a Pride of Australia award! 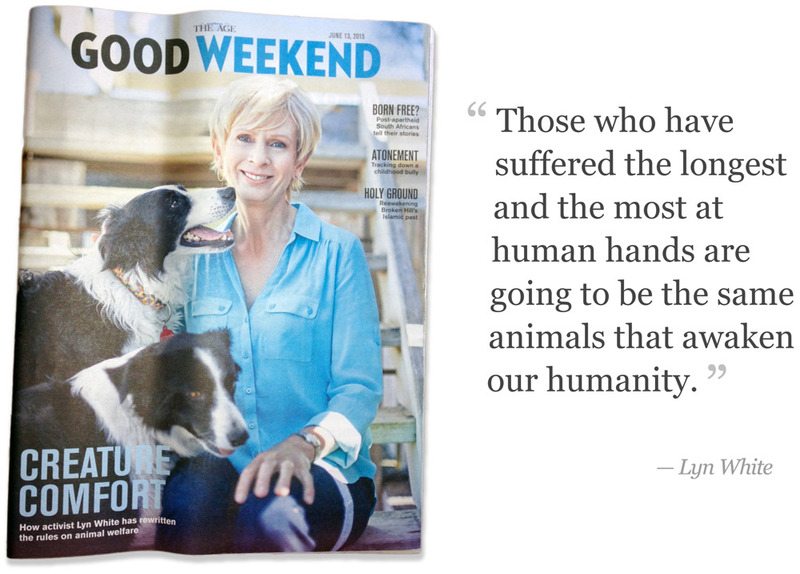 In a candid interview produced by Fairfax Media, Campaign Director Lyn White provides a rare glimpse into what goes on behind-the-scenes, and the role media has played in exposing cruelty and inspiring an international movement towards creating that kinder world — for all animals. And in further recognition of the value our community places on exposing animal abuse, our greyhound cruelty investigation — made possible thanks to our dedicated supporters — has been recognised with a nomination for a Pride of Australia award! You too can be a voice for the voiceless. Be inspired. You can hear more from Lyn in her 2014 tour 'Becoming the best we can be' — available now to buy or watch free online. Live compassionately. Find out how easy it is to live a cruelty-free life with our essential guide to helping create a kinder world!